The interior size is adjusted by use of the pump and release valve located at the rear of the helmet. They also feature our 4 point attachment chin-strap that acts to minimize forefront wobble and adds to helmet stability when wearing the helmet. Patented Air Cushion Impact System liner (A.C.I.S) offering a bespoke fit. 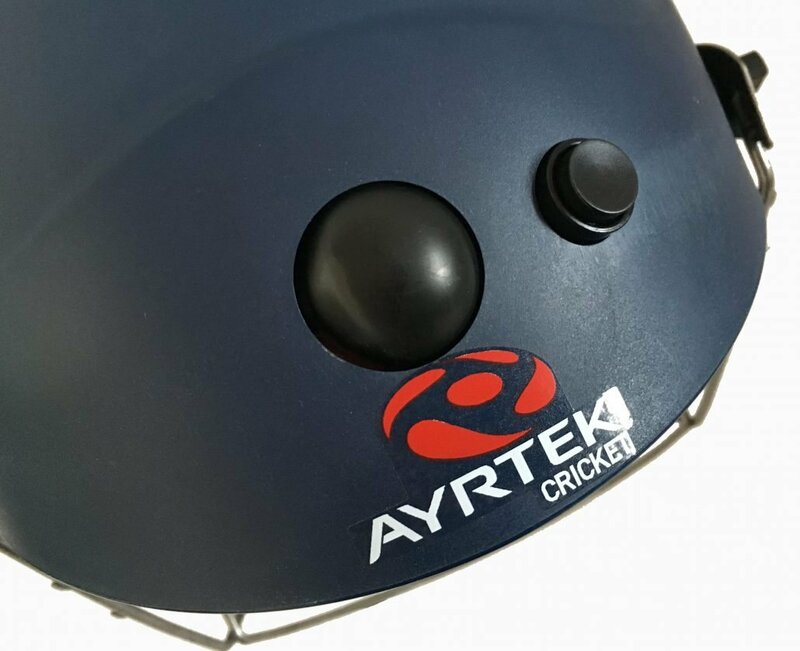 During BSI testing all cricket helmets are subjected to an inverted drop test onto a hemispherical anvil from which the peak acceleration levels are recorded. In order to be deemed a PASS the helmet has to record a reading of 250gn or below. As you can see from the graphic below our latest Ayrtek Cricket PremAYR model not only pass this but come in on average over 200gn less than this allowance. In simple terms we are performing to a level that on average is over 82% better than required to pass testing. This ensures that if someone is struck by the ball when wearing one of our helmets the minimum force is transmitted through the shell to the wearers head inside of it.